Telegram is a powerful, cross-platform messaging application that lets you connect with other users without bothering about data theft. It provides maximum security by encrypting all conversations and shared files and stores them safely on the cloud. Cloud storage allows quick access and fast synchronization to the message database from any corner of the world. 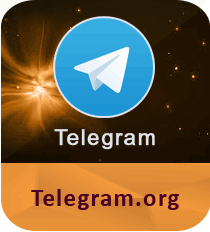 Telegram for PC is also available as Android, iOS, as well as Web version. It has proved to be a good alternative to other popular chat programs like WhatsApp. The plus point is that it offers improved security, putting privacy as the major concern. All the messages sent through Telegram are automatically encrypted before they are stored on the cloud. Wrapped in an easy-to-use and intuitive interface, the communication software contains your contact list and displays your conversation with other users. To use the software, you need to create an account by providing your name and a valid phone number, which is used to generate a security code. The instant messaging & VoIP application shows desktop notifications when a new message arrives and supports file and photo sharing, including documents, archives, pictures, music, among others. You can even send funny emoticons to enrich your conversations. One unique feature of Telegram is that it allows you to create groups up to 5000 contacts. Groups can have more than one administrator who can change the name and display picture of the group. Plus, you can broadcast messages to a list of 100 people using Telegram, regardless of their platform. Download Telegram for speedy and secure conversations with other people. While the Telegram desktop utility lacks some of the features present in its mobile app like secret chats, voice messaging, etc, it’s still a powerful messaging alternative to WhatsApp. If you are looking for a fast and secure instant messenger, then Telegram for Windows is the app for you.